Whether it is adventure or romance your stay at the 'Hideaway' will refresh your soul. 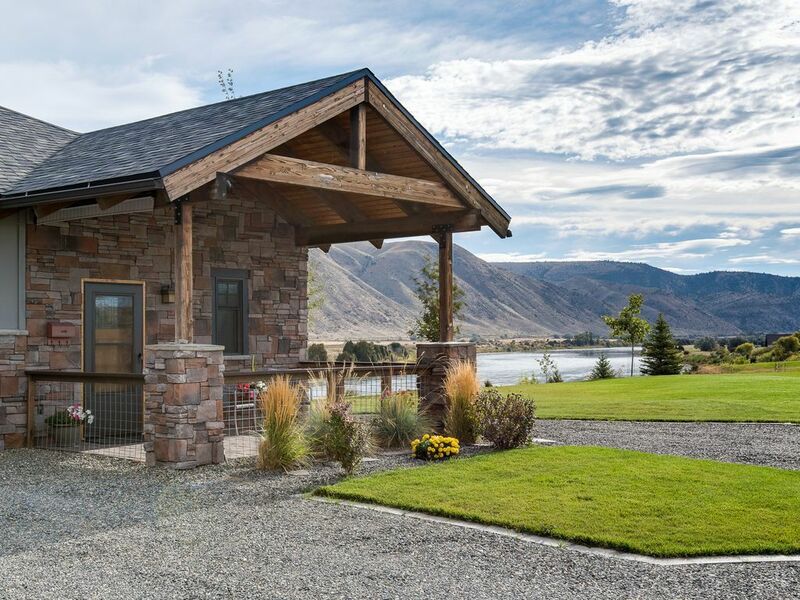 Located on the Missouri River, this quiet vacation rental, with 300 ft. of river frontage, is the perfect location for that special getaway. The fall hunting is among the best and the peaceful winter scenery makes ice-fishing and skiing a very enjoyable experience. For all of you skiing enthusiasts, we are just 68 miles from Bridger Bowl, 91 miles from Big Sky, 83 miles from Showdown located in Neihart and the Great Divide in Helena is 68 miles. 1. Robes are provided during your stay. 2. Slippers are available on request. 4.Choice of Red or white wine, local craft beer or sparkling water and something sweet upon arrival. 12. WiFi is no longer available since most of our guests now have a smart phone or tablet with a data package. 13. If you are in full time ministry please contact directly for your rate at hideawaymontana @ gmail. Fall/Winter rate $150 a night with a 2 night minimum stay or $700 a week (6 nights/7 days). Each subsequent night is $150 per night up to the 8 night maximum stay. Spring/Summer rate $150 a night with a 3 night minimum stay or $850 a week (6 nights/7 days). Each subsequent night is $150 per night up to the 8 night maximum stay. Lewis & Clark Caverns 36 miles, West Yellowstone 137 miles, Virginia City (open seasonally) 80 miles, Norris Hot Springs 50 miles, Boulder Hot Springs 65 miles and Bozeman Hot Springs 50 miles. Kim's Marina- for fishing gear & boat rentals 40 miles on Canyon Ferry Lake. I am a Montana and raised in Helena. I am a Purser Flight Attendant with a major airline and travel mostly to Europe. Traveling nearly 40 years with a heart of compassion and hospitality. My husband Bill built and I designed this space with all of the features I personally enjoy while I travel. As a Montana native, growing up in Helena, I knew in my heart that I wanted to live on the water. When this property first became for sale, we were quick to check it out. After walking the property I knew this is where we would build our home. We are close to both Bozeman and Helena and are centrally located to head either North or South for many of the events that happen during our big summer season. This area is unique as it is away from it all, quiet, serene and some of the most beautiful sunrises and sunsets that I have ever seen. We love the wildlife , the of the best walleye fishing thaat only locals know about. The Montana BIG sky in the summer evenings with the blazing fire in the outdoor fire pit is truly a Montana experience. There is no other place we would rather be that enjoying our view from the living areas and decks. We are sure that you will LOVE it here too! Away from it all, serene , quiet, enjoy all the wild life river living has to offer. 300 feet of Missouri River frontage...25 ft from your back door! Electric fireplace may also be used for quick heat. parking directly in front of the Hideaway. Amazing is the best description...amazing hosts, views, amenities, location. We stayed 2 nights and hated leaving. Such a better way to experience this part of the country....literally right on the riverbank with mountains in the background. Sunrises and sunsets were magic. Loved staying at the Hideaway! It's comfortable, exceptionally clean and new. The pictures are accurate of this lovely accommodation. (amazing bed, the nicest one we have ever slept in ) Very nicely located above the Missouri river ( love the sound of gently rushing water) with incredible views of the river and the mountains on all sides. Close to either Helena or Bozeman. You could easily travel to Yellowstone for the day and return the same night to a bonfire by the river and a glass of wine! When you come you must visit the Lewis and Clark Caverns, amazing. You will not be disappointed when you stay here. Thanks Bill and Ellie for a wonderful time. Additional information,Directions, security codes will be released once we have received payment in full.